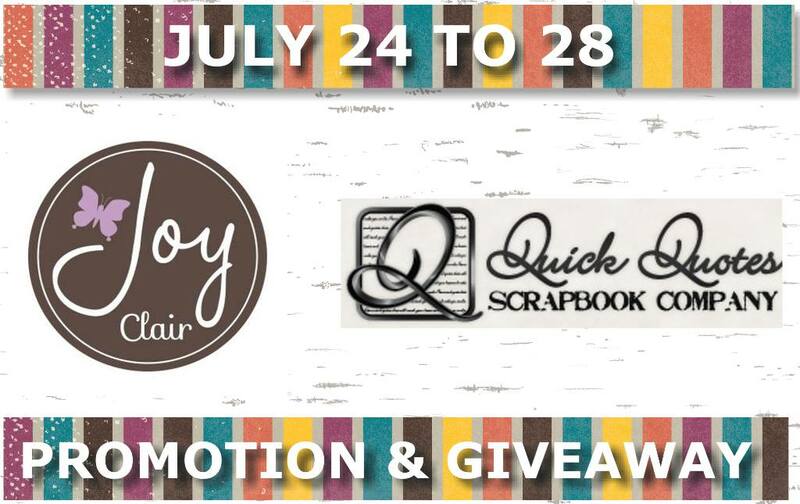 Blog Quick Quotes: Joy Clair Promotion Day 1 with Connie! Joy Clair Promotion Day 1 with Connie! Hi there, it's Connie here hosting the Quick Quotes blog today. All this week we are partnering with Joy Clair and featuring their beautiful stamps along with our fabulous inks and papers. I had such a fun time creating with both!! 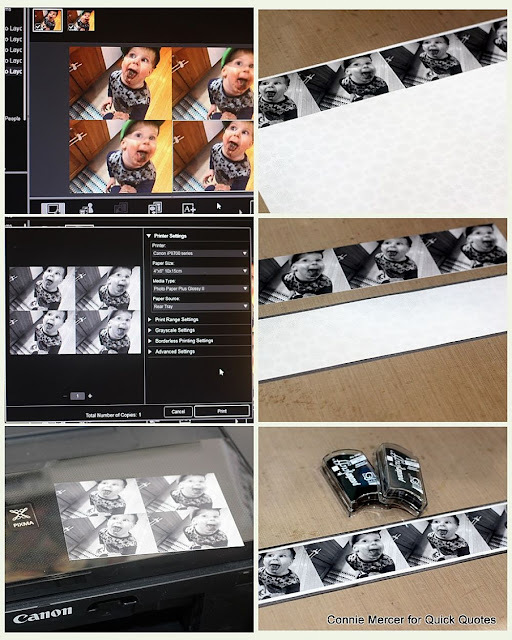 I also used my Canon iP8720 Printer for some extra fun, creating a photo strip for my page. Select the photos you want in the photo strip. Place in a 4 picture collage with no spaces. Mount the two set of landscape pictures on white cardstock. Shade with your favorite PowderPuff Chalk Ink, mine is Midnight Confessions. Mount on black cardstock and again, shade with Midnight Confessions. Designer's Tip: I always save my, well used, inks for when I want lighter shading. 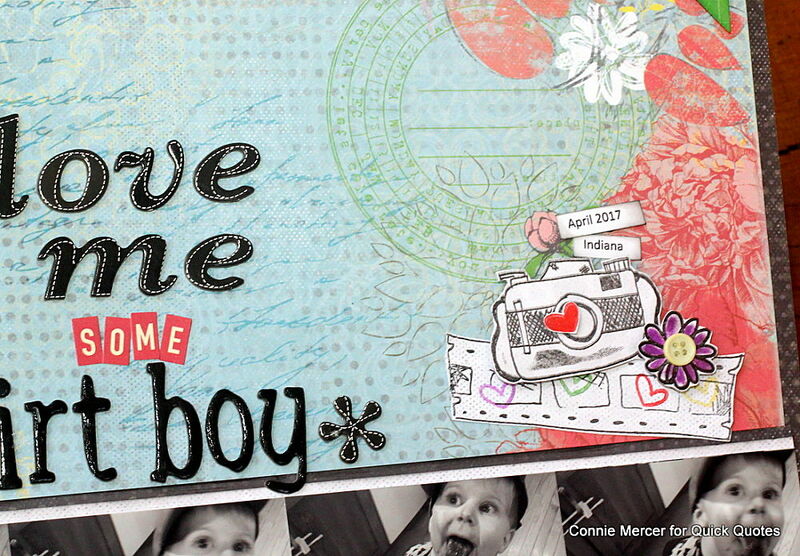 Using my stamps from Joy Clair, I stamped the images on white cardstock and cut them out. The mason jar and flowers were colored in using PowderPuff Chalk Inks. Use a q-tip and gently add color to the image. I created my page using two different stamp sets by Joy Clair. They are very mixable friendly. 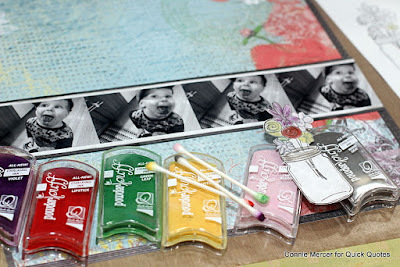 The first thing I consider when I'm looking to purchase stamps is that they will be easy to mix with other stamp sets. Please hop on over to the Joy Clair blog to check out even more inspiration today with Martha and Lori! Be sure to leave a comment either here or on Facebook for a chance at a yummy prize!!! 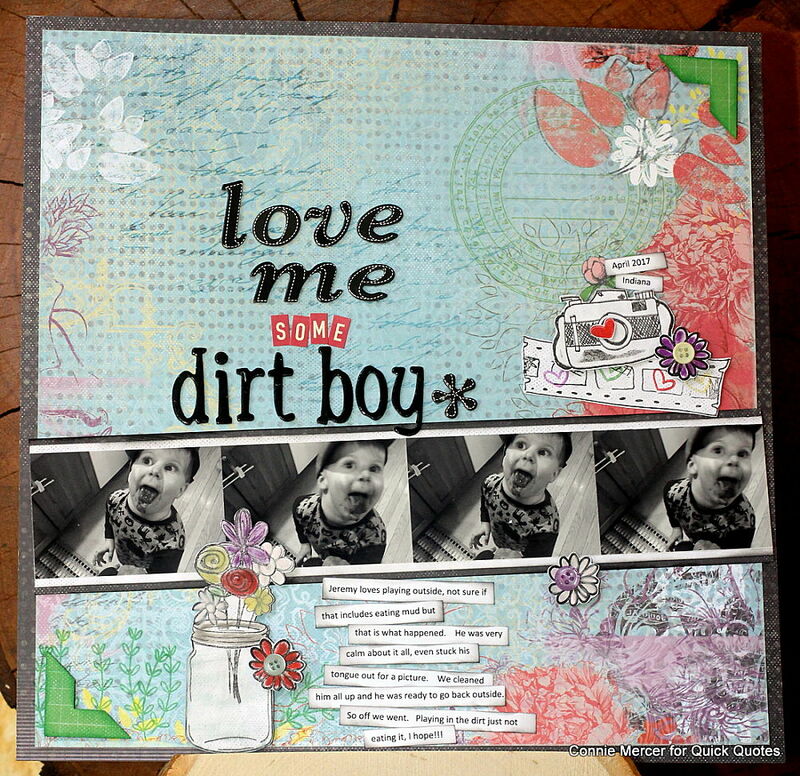 Fabulous layout--I can relate as I am the mom of 4 boys. What a fun page! Love the stamps and colors you used to go along with these cute pics! 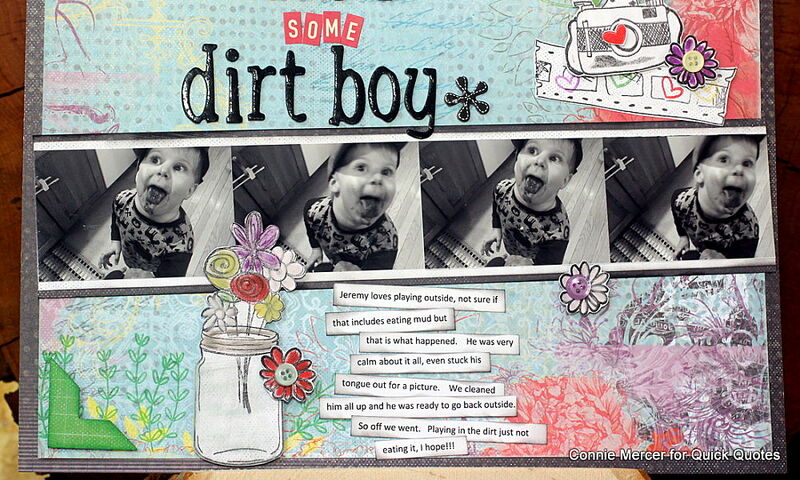 Wonderful layout and super cute pics. Awww!!! 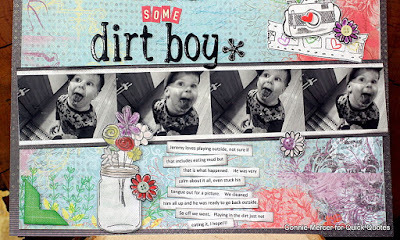 Such adorable layout!!! Too cute!!! Awesome layout and great photos!